OLDSMAR, FL – November 18, 2015 – NovaCharge LLC, a leading provider of electric vehicle charging solutions, has been selected by the North Florida Transportation Planning Organization (TPO) and JEA to provide equipment and integration services for the ChargeWell program, a new electric vehicle charging station network available to the public throughout the Jacksonville, Florida area. 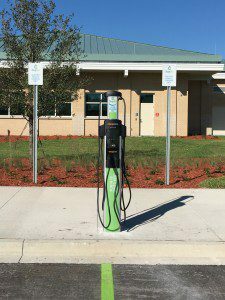 In partnership with JEA, North Florida TPO has invested $300,000 to provide ChargeWell branded charging stations in JEA’s service territory. Currently, 27 sites have been selected for this program, all to be installed and integrated by NovaCharge. “We are looking forward to working with NovaCharge on the new ChargeWell initiative,” said Peter King, program manager, customer solutions, JEA. The initial 27 site network in Jacksonville is only the beginning. In the future, the TPO will work with other utility companies to expand the ChargeWell network and provide electric vehicle drivers more opportunities to charge up in the region. NovaCharge, LLC was founded in 2008 to address the need for a next-generation electric vehicle (E/V) charging infrastructure. As a leading provider of E/V networked and non-networked charging solutions, NovaCharge is dedicated to enabling a better environment for future generations by supporting a zero-emission transportation infrastructure, offering convenient, affordable, grid-friendly charging stations that enable access across both public and private locations. NovaCharge is headquartered in Tampa, Florida, and is a Certified Minority/Woman owned business.